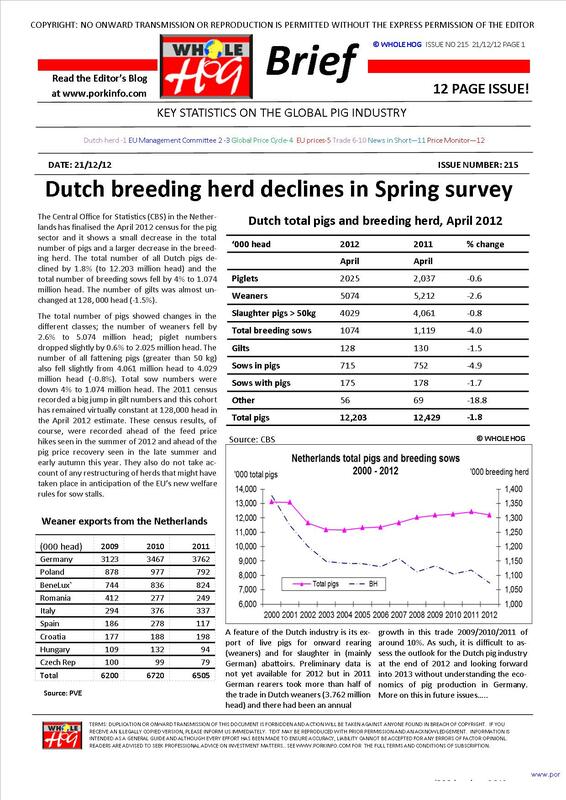 The front page of the December 2012 issue describes the latest available Dutch pig herd census data and incorporates some data on live pig exports from the Netherlands. Pages 2 and 3 reproduces some key tables and charts dealing with prices, costs and trade in EU pigmeat as reported to the EU Management Committee this month. 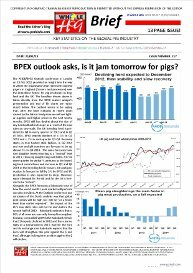 Page 4’s analysis of the Global Pig Price Index notes that the global pig price cycle is hesitating before committing to the downturn. 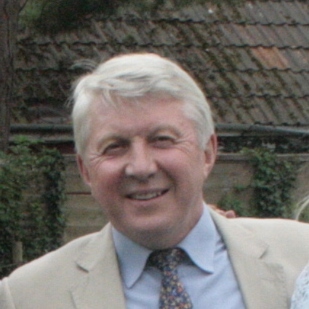 Pig prices in the EU are examined on page 5 – and they are weak. On page 6 Canada’s export sales seem to be surging in Russia but stalling in Japan. Meanwhile, Page 7 details the rebound in the USA’s pork export sales. Australia’s exporters had a bad month in September according to the latest trade data. Page 9 describes the trade data for the Japanese pork market and the USA’s exports to Japan seem to be on a roll. US exporters are also on a sales boom in the South Korean market on page 10. News in Short on page 11 includes short reports on; VION’s MBO for its UK pork operations, Cranswick’s interim half year results, a warning from Danish vets about how workers should be vigilant about swine fever, Russian worries about pig prices and surging imports, China’s commitment to rationalisation and growth of large scale agri-business enterprises, the EU’s pigmeat exports, Germany’s new antibiotic monitoring system for livestock, and an attack on subsidies in the Canadian pig industry by the Australia's APL – supported by comments from the US and New Zealand industries.